The pulp and paper industry can conjure up images of black smoke, dirty rivers and forest clear-cutting. But one Canadian company is working hard to change those industry stereotypes. 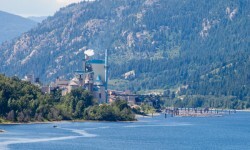 Mercer International runs three of the greenest northern bleached softwood kraft pulp mills in the world, including Zellstoff Celgar, just outside the town of Castlegar in British Columbia. Since 2006, SKF’s asset management services have been at work inside the Zellstoff Celgar mill, helping to increase reliability and availability of critical machines. More than 70 pieces of SKF hardware are at work inside the Celgar mill: online systems with wireless units, wired units, handhelds and protection systems on the turbines. Some 250,000 readings are processed and analyzed daily with the SKF @ptitude decision support software. SKF’s service and support helped Celgar reach an unheard-of achievement in the industry – zero unpredicted maintenance failures in 2012. 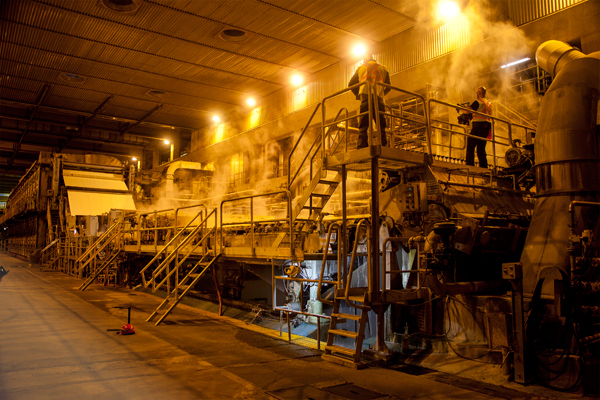 In western Canada, Zellstoff Celgar’s name is synonymous not only with premium-grade kraft pulp used in a range of products such as tissue and writing paper, but also with bioenergy. 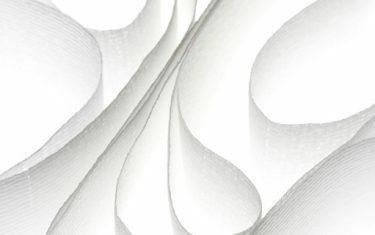 Zellstoff Celgar uses residual fibre – what is known as waste wood – in the pulp-making process. It is cooked in a digester to break down the lignin that holds the wood together. Half of what is left becomes cellulose pulp, which is used to make paper. The other half is black liquor, essentially a biofuel. This black liquor is burned in the mill’s modern recovery boiler to generate power – renewable bioenergy. Wood is considered carbon-neutral, and energy produced from wood is therefore labelled “green”, as opposed to the “brown” energy produced from non-renewable coal. Lunn, who has been with the mill since 1992, is responsible for bio products, R&D and energy. He has seen first-hand the investments through the years that have increased mill production and thereby the amount of bioenergy produced. For several years the mill did not have the turbine capacity to utilize the additional steam produced, so it was simply vented into the atmosphere. To change this and to produce more bioenergy, a new turbine was installed in 2010. This became the Green Energy Project. 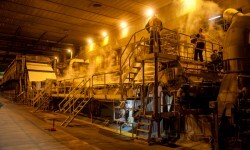 The investment made Celgar the largest single-line mill in Canada. 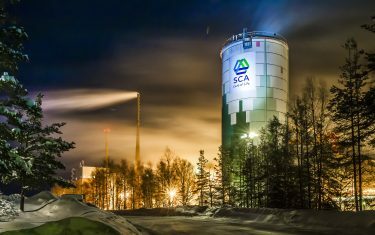 Financing for the project came from Celgar’s parent company, Mercer International, and from the Canadian government through its Pulp and Paper Green Transformation Program. The programme supports capital projects that conserve or produce energy or reduce environmental impact. It was created in response to the black-liquor tax credit that the United States had offered US companies. At this time, Celgar also finalized a 10-year Electricity Purchase Agreement with BC Hydro, a local utility company, to sell its excess energy at favourable green-energy rates. 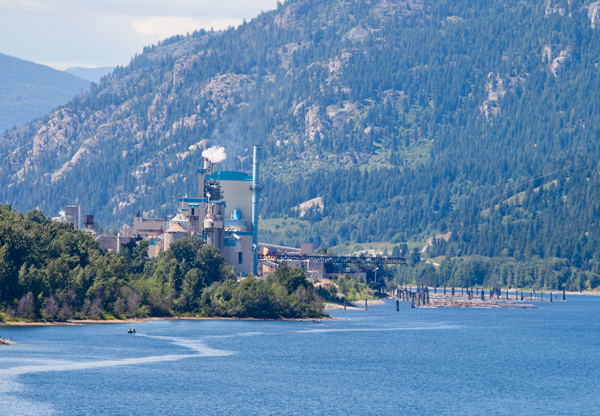 The mill produces approximately 520,000 megawatt-hours annually, but only about 340,000 megawatt-hours of that electricity is used internally; the remainder is fed into BC Hydro’s grid, powering more than 16,000 local homes. Lunn says the mill currently utilizes about 65 megawatts of its 100 megawatts total turbine capacity, so there is room for additional power generation. Celgar has several by-products in the mill that are part of the existing process, so Lunn and his colleagues are investigating ways to recover value from those products. 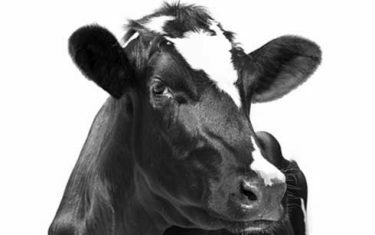 Examples include fly ash from the hog fuel boiler, methanol from condensates and turpentine from the black liquor. 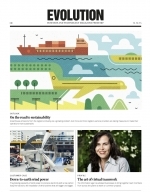 For Celgar, being a truly green company means thinking sustainably through the entire value chain. The mill is very strict with its suppliers, accepting only sustainably harvested, certified wood. When it comes to production, Celgar’s efficiency and operational excellence are recognized through its ISO 9001 and ISO 14001 certifications for quality and environment. The company is also actively working with the transport industry to lower its carbon footprint. One step in the right direction is the recent 15 percent increase in the size of chip trucks, which means 15 percent fewer trucks on the road. With the stereotype of pulp mills as a dirty business still hanging overhead, the Celgar team hopes its work to educate the community and raise awareness is changing minds. 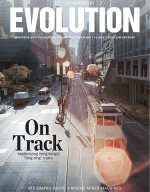 Download the Evolution iPad app to watch a video about SKF’s contribution to Zellstoff Celgar.